Importance of Lebanese Food and Valentine's Day! First of all, did you make a New Year’s Resolution regarding Lebanese food? Well, most of you might say or think that the answer is a “no” but, without knowing it, you all have! Let us tell you how. Every year, people mention that a healthy lifestyle was one of their resolutions, right? Well then, there you go! 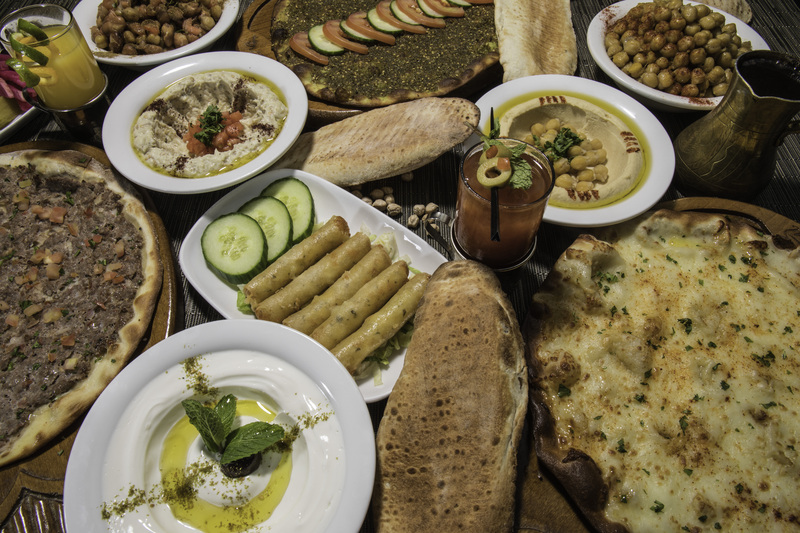 Lebanese cuisine is a Levantine style of cooking that includes an abundance of whole grains, fruits, vegetables, starches, fresh fish and seafood; animal fats are consumed sparingly. Poultry is eaten more often than red meat, and when red meat is eaten, it is usually lamb and goat meat. It also includes copious amounts of garlic and olive oil, often seasoned by lemon juice. Chickpeas and parsley are also staples of the Lebanese diet. Lebanese cooking derives its style from various influences, such as Turkish, Arab, and Mediterranean cuisines. Have you planned anything for Valentine’s Day? Well, we’re guessing probably not! Which is perfect because this year, Mejana’s team put together a special Valentine’s menu just for you and your loved one!! Therefore, you’ll be experiencing one of the most delicious Valentine’s dinner! And, we also have the perfect table and music for an unforgettable night! Are you ready to celebrate with us this year?? If so, click the link below and book your table now!